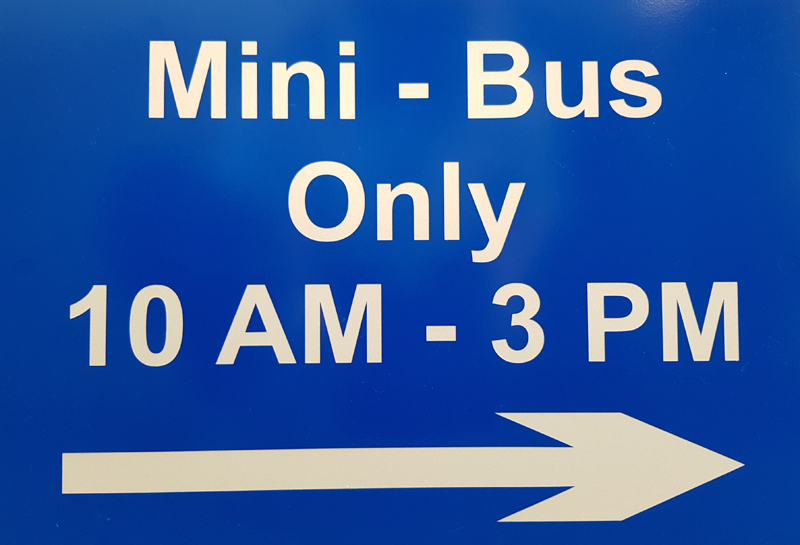 The City of Hamilton advises that dedicated bays for ‘Minibus Parking’ have been allocated in two locations within the City – one bay on Church Street outside the Cathedral of the Most Holy Trinity and additional overflow minibus parking at Albuoy’s Point. “These parking bays are clearly marked with the appropriate signage and are dedicated for minibus use, Monday – Saturday, 10am – 3pm,” the City explained. A City spokesperson stated, “We recognize the need for minibuses to have a dedicated location to wait for their passengers who have been dispatched in Hamilton for various City tours. Great more aggravation, and illegal u turns and parking just like the regular taxis that think there above the law..
St George’s needs designated parking fir Mini buses as well. Why not Pennos Wharf? Frustrating as hell trying to park in town and these buses are all over the place.